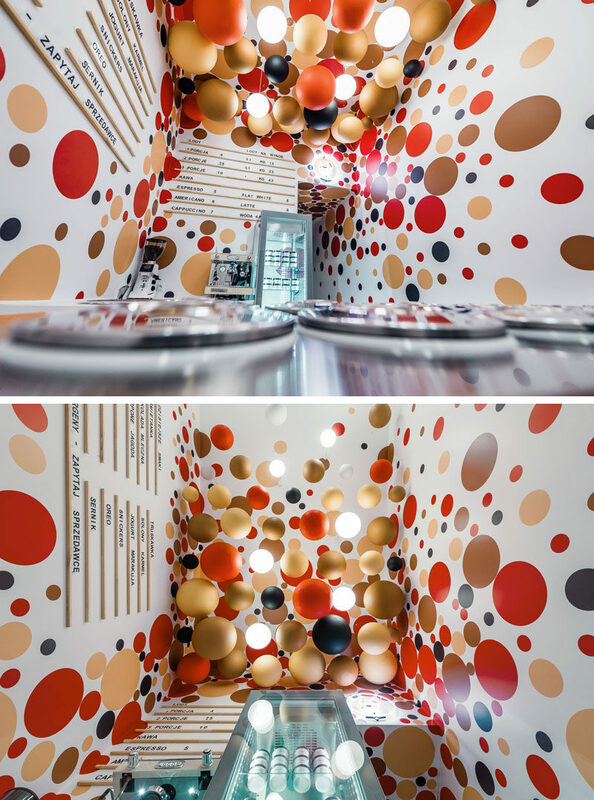 When design collective Musk was asked to design the interior of Lodowato, a local ice-cream shop in Katowice, Poland, they had to come up with a solution for a space that’s too high in relation to its width. 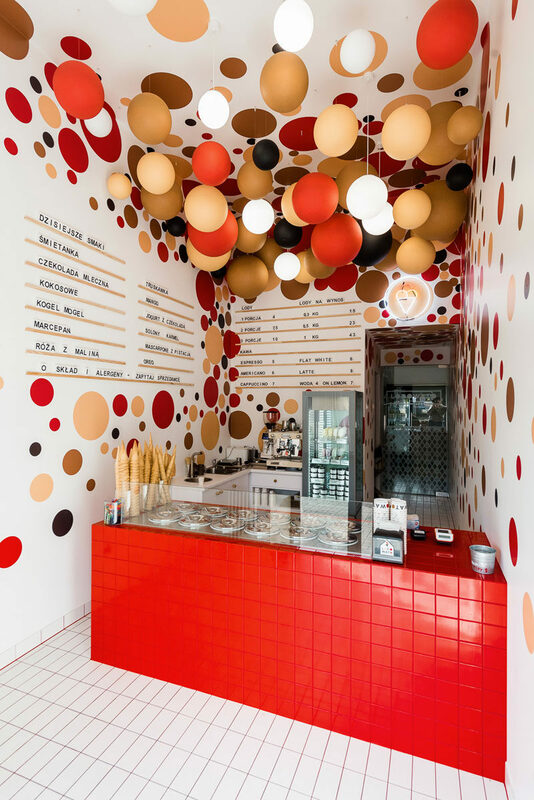 In order to improve the space, the designers came up with the idea of using a large-scale decoration, which involved the installation of suspended balls, some with lighting incorporated. 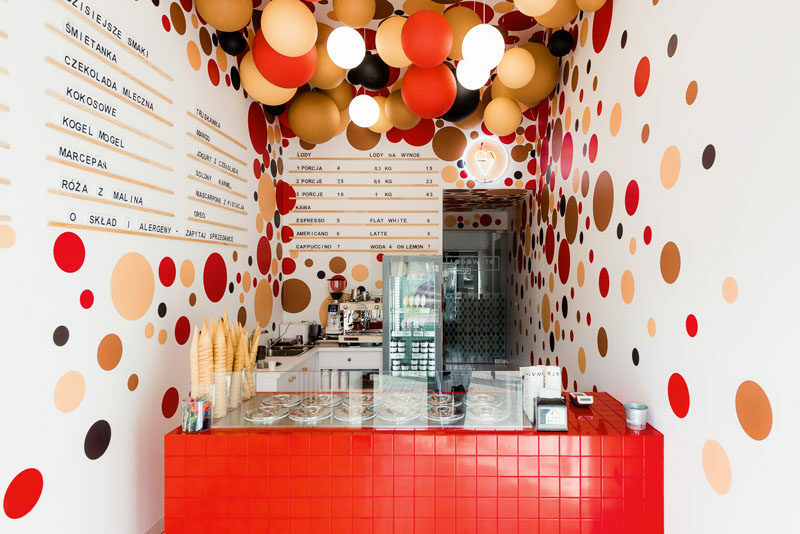 The designers also added a bright red counter and colorful dots of different sizes on the walls to complement the suspended balls.